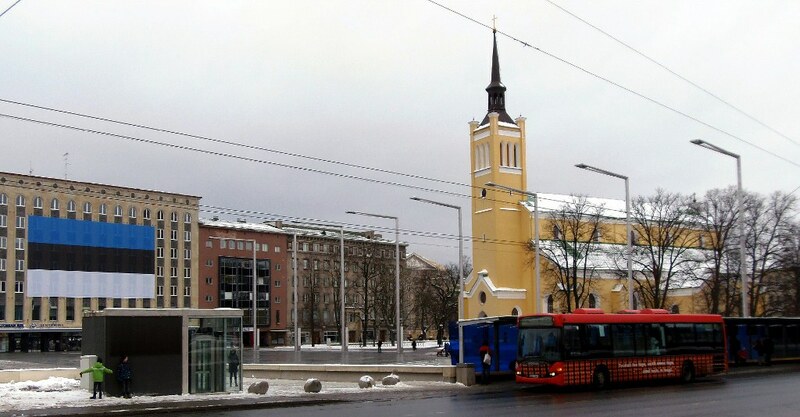 22 february 2013 - Tallinn, Vabaduse väljaku stop. 24.February is 95th Anniversary of Estonian Independence for this day they put a big falg to Vabaduse Väljak. And try a different method of scaling and resizing of pictures so you can avoid quality loss. If you scaling in gimp try to use bicubic not linear in scaling. Anyway It is very nice that you are looking for interesting sights. Just one question about translations. Is it possible to fix months in translation file? I've had several attempts but still without any results. what type of fix you need? Could you describe?